Haviva Technologies provides eBook conversion services at a low cost with high quality. Our state-of-art tools and processes can convert any type of materials like paperback, Images, PDF, InDesign, MS-Word / RTF books to any eBook format. Our capabilities include conversion of any type of content to ePub and Mobi format (Application files, Word document, scanned pages, hard copy, PDF documents, custom XML), with high quality standards and quick turnaround times. From an eBook development standpoint, Haviva Technologies has past demonstrable experience with preparing content in EPUB file format—both reflowable and fixed layout formats. We also assist you in converting a variety of source documents or creating fresh content such as Word, PDF, XML and HTML to deliver different eBook formats including ePub 3.0 and KF8. Fixed Layout eBooks can keep the same page layout and design as their print book counterparts, and can sometimes contain enhancements that make them more interesting and interactive. We have rich experience in converting children’s books, comic books, magazines, high quality graphic designs/layouts where the focus lies on images and graphics, Apple’s Fixed Layout ePubs for iPhone/iPad is an apt solution to render such books for achieving the best user experience. Experienced with both text-heavy and graphics-filled content, our team can advise you on whether fixed or refill layouts will work better for your material and for the type of device you plan to display it on. 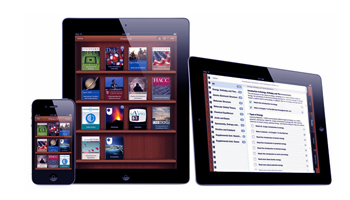 Books created for iBooks 2 can have all manner of media attached, complete with multitouch capabilities.